One winemaker and their personal cellar selection. The Wine Loop. Like wandering into a cellar door on a quiet day and finding the winemaker entirely at your disposal. Only in the city, with matched menus by some of Melbourne’s most innovative chefs in some of the best private dining spaces. 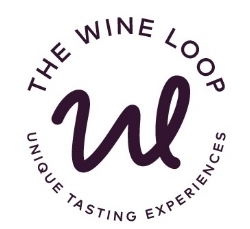 With no two events the same, The Wine Loop provides a unique opportunity to explore the stories and insights of leading winemakers - one where you get to drive the conversation agenda. Plenty of time to taste, explore and understand. So bring a friend, bring a group of friends - or bring yourself! Either way you’ll find plenty of wine-loving types ready for great wine, great food and great conversation…. We think there is nothing better than sharing the end of a wine's story with its beginning. So we personally research and meet all of our winemakers before we introduce them to you. We seek out those who aren’t afraid to do something a little different in the world of wine and who will relish your questions and feedback as well as sharing their wine wisdom! Our events provide a relaxed, informal atmosphere in which to taste and converse. No queuing, no rushing and definitely no classroom- style presentations in The Wine Loop! We have personally road-tested all our venues to make sure our events happen in spaces that are conversation and wine temperature friendly - regardless of season! All our events feature shared food menus personally chosen by the chef to compliment the winemaker’s tasting selection. The chef will also swing by the table to share their insights on the matching process and take your questions. At The Wine Loop, we like to really set your expectations about what will happen on the day, to help you get the most of your experience with us. So we’ll share insights about the winemaker, wine and vineyard upfront and keep you connected to The Wine Loop before, during and after our events. Do you have a group of 12 wine-loving types you think would enjoy and appreciate the immersive experience of an event in The Wine Loop? Growing up, Nicole's father collected wine and shared his wine appreciation with her. Whilst living in London and making frequent trips through Europe,Nicole was introduced to the Slow Food Movement, and became more than a bit passionate about local regional produce and wines. Nicole has funded her food and wine hobby through her career as a Technology Project Professional- which is how she also first met Organisational Change Manager Karen. Coming from the UK, Karen’s early experience of wine involved “British Sparkling” once a year over Christmas lunch. Thankfully, her degree course took her to the aromatic wine wonderland of Alsace, France and her real introduction to wine began! Join us in The Wine Loop - it's free to sign up! Drop us your details below for news and regular updates on our upcoming events! All events are priced individually and you'll find details on our booking page!